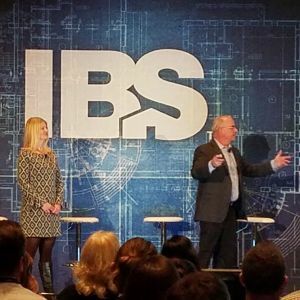 Multiple Atlanta-based professionals have the honor of speaking at the 2019 International Builders’ Show in Las Vegas. The week-long event is the homebuilding industry’s largest conference and convention with 600,000 square feet of exhibit space featuring 1,500 vendors, more than 130 education sessions, and 60,000 attendees from 100 countries. One of the many can’t-miss educational sessions during the show presented by industry professionals from Atlanta is Narrow Lots and Micro Product: Demographics and Psychographics of Today’s Buyers. Carol Morgan, found and president of Denim Marketing, and MarketNsight and ViaSearch President John Hunt lead this informative session, which takes place at 11 a.m. on Tuesday, February 19 in North Hall 258. How to market and sell to different generations and niche markets is complex. As development and building costs explode, we see more and more micro product being developed. This includes smaller homes and townhomes on super narrow lots – often demanding prices as high as $450 per square foot. And, it isn’t just small homes and townhomes. We see tiny houses and teeny condos, too! Why are homes getting smaller? Housing has become expensive, with the majority of today’s buyers unable to afford a sprawling $1 million mansion, or even a $400,000 home. To meet the price-based demand of today’s buyers, builders and developers are innovating by sizing down. From creative adaptive reuse to the need to fill a workforce housing requirement, micro product is popping up nationwide. Think it’s only Millennials buying these small homes? Think again! Gen X and the Boomers are interested and actually buying them, too. Understanding the demographics and psychographics of today’s buyer impacts marketing decisions and your bottom line. Drawing on 20 years of ViaSearch buyer profile data, media ratings and buyer preferences, along with actual permits, sales and deeds, gives a clear overview of what is going on with the current buyer. Find out what today’s buyer looks like from the Millennials who are starting to “nest” to the empty-nester, Baby Boomer buyer. Put this session on your show planner to gain insight on why small homes, townhomes and narrow lots are popular, as well as learn what is influencing the buying decisions of Millennials, Gen X and Boomers. The session will also cover where on social media to market to the various generations and discover how to determine what product to build and how. We hope to see you at the International Builder’s Show February 19 – 21 in Las Vegas!